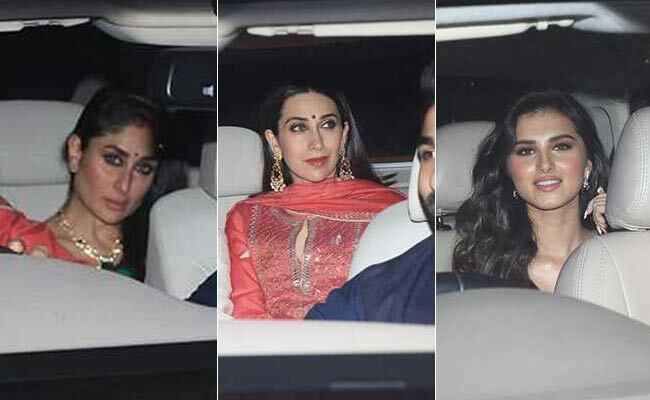 Kareena Kapoor, Karisma Kapoor and Tara Sutaria at Karan Johar's Diwali party. 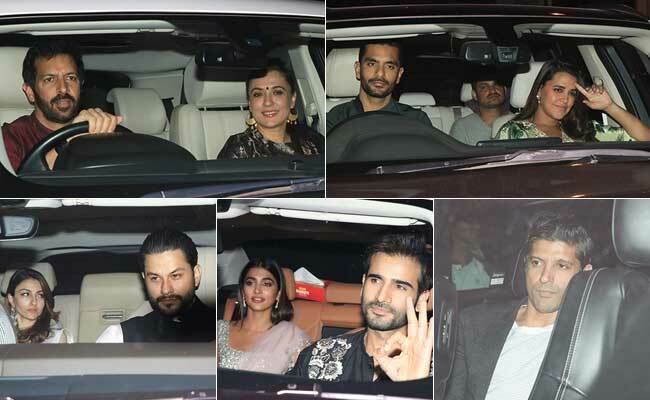 No Karan Johar party is complete without Bollywood A-listers and the Diwali party hosted at his residence on Wednesday night was not any different. 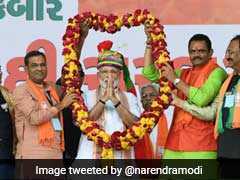 Several Bollywood celebrities added festive fervour to the special party hosted by the filmmaker, which included Kareena Kapoor, Saif Ali Khan, Sonakshi Sinha, Jacqueline Fernandez, Varun Dhawan and Sidharth Malhotra among others. 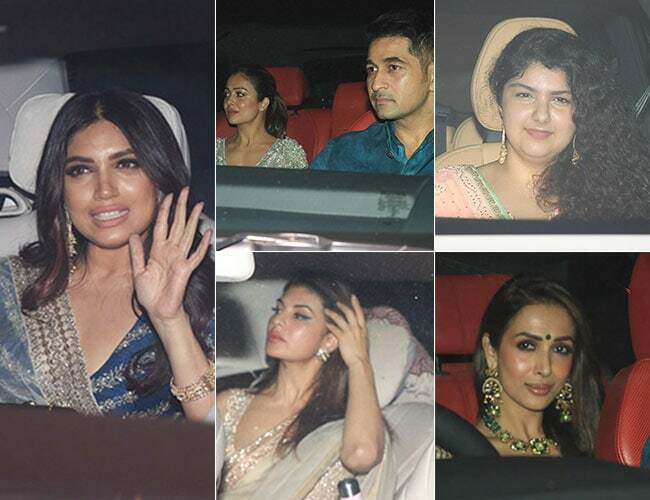 Most of the actresses showed up in ethnic outfits. Kareena, who arrived at the party along with her actor-husband Saif Ali Khan, looked simply stunning in a green sari. 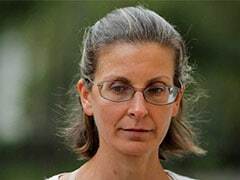 She added a dash of bling to her outfit with a statement necklace. Kareena's sister Karisma Kapoor, who is a regular at KJo's parties, was also dressed to perfection. 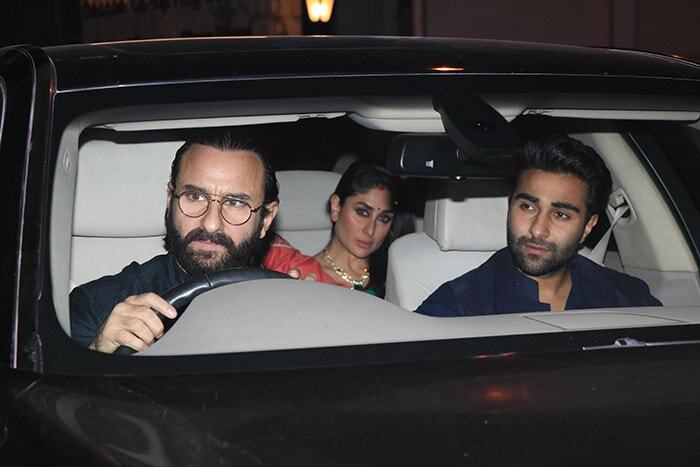 Saif Ali Khan and Kareena Kapoor arriving at the party. Karisma Kapoor at KJo's party. 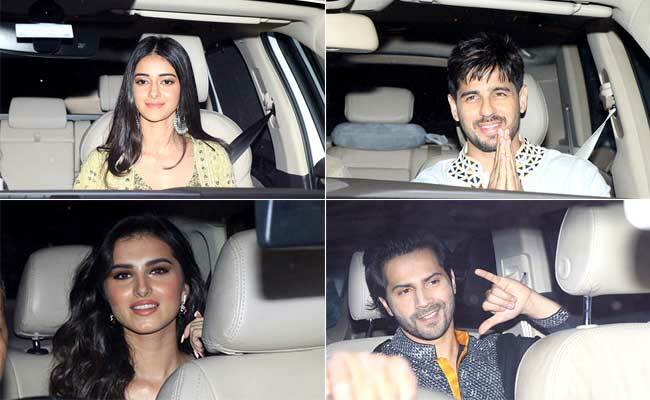 Karan Johar's proteges Tara Sutaria and Ananya Panday, who are set to make their Bollywood debuts with Student of The Year 2 and actors Sidharth Malhotra and Varun Dhawan also attended the party. Ananya Panday, Sidharth Malhotra, Tara Sutaria and Varun Dhawan. 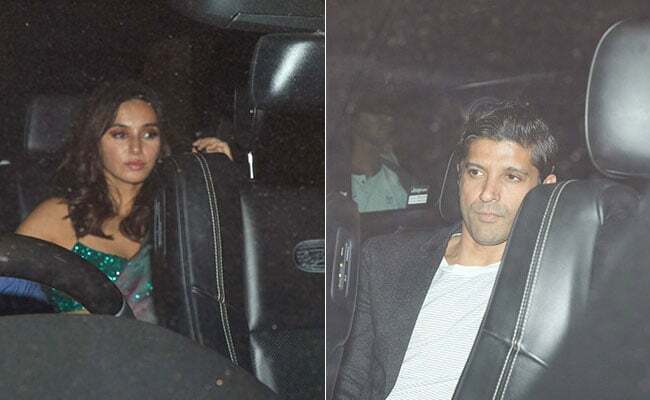 Among the couples, Karan's close friends Neha Dhupia and Angad Bedi, Soha Ali Khan and Kunal Kemmu and filmmaker Kabir Khan along with wife Mini Mathur were present at the party. 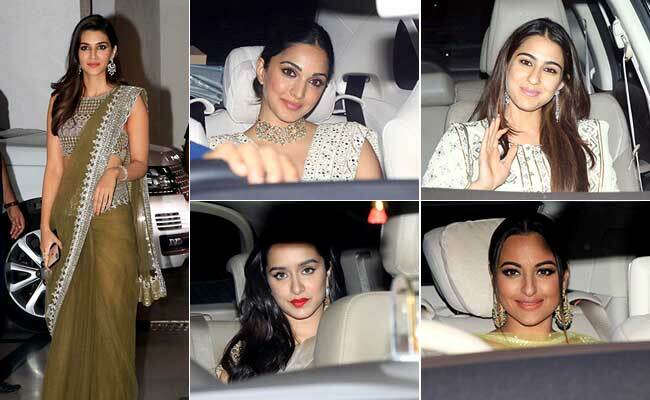 Sonakshi Sinha showed up at the party in a yellow lehenga, while Sara Ali Khan, Kiara Advani and Shraddha Kapoor opted for white outfits. Kriti Sanon in an olive green saree was definitely a head-turner. That's not it, the guest list also comprised Malaika Arora, Jacqueline Fernandez, Bhumi Pednekar, Anshula Kapoor and Amrita Arora, whose plus one at the party was her husband Shakeel Ladak. The men's section was well-represented by Kartik Aaryan, filmmaker Siddharth Roy Kapur, Tusshar Kapoor and Punit Malhotra among others. 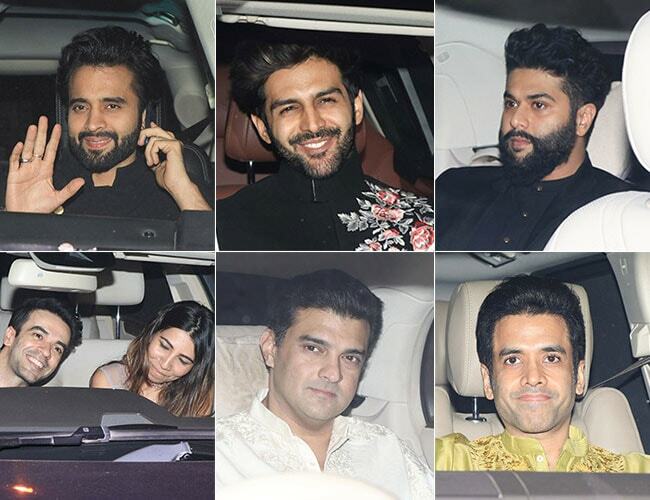 Before the grand Diwali party, Karan Johar hosted a small get-together at his house on Wednesday afternoon, which was attended by his close-friends including Alia Bhatt, Varun Dhawan, Ayan Mukerji, Varun Dhawan, Vicky Kaushal and Kiara Advani among others.